Pokémon, those whimsical little Japanese pocket monsters, are celebrating their 20th anniversary in style by taking over much of the mobile world this month with the release of the augmented reality smartphone game, Pokémon GO. But while millions of people downloaded the game to their Android handsets and iPhones in the first week of release, security experts and privacy advocates have voiced concerns. Journalist Laura M. Holson drops by Pop Tech Jam HQ to discuss how Pokémon GO works, what to worry about and why it became so popular so fast. El Kaiser and J.D. also discuss the non-Pokémon headlines of the week, including Twitter’s big plans for this month’s political conventions and some truly classic code. PTJ 198 News: To the Moon! Do you like reality TV? If you’re a general fan of long windy speeches, you can see the United states political machine grinding its gears later this month on Twitter. 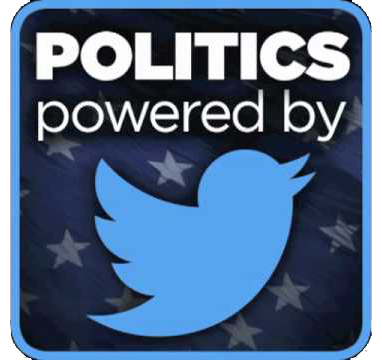 The bird-themed microblogging service announced this week that it has reached a deal with the CBS television network to livestream both the Democratic and Republican National Conventions, much to the delight of trolls everywhere. Also in Twitter news, the company has issued a cease-and-desist letter to another site that made a habit of recording and displaying the deleted tweets of politicians and celebrities. Upon receiving the letter, the PostGhost site did shut down, joining Politiwoops in the club of sites who have angered Twitter. Politiwoops, though smacked by Twitter last year, does seem to be back as part of the Sunlight Foundation for transparent government. And Twitter has increased the allowed size of animated GIF files that can be attached to tweets, which can now be up to 15 megabytes on the Twitter web interface or 5 megabytes on mobile. This has inspired some people to compress full-length movies and TV episodes into high-speed animated files, just because they can. 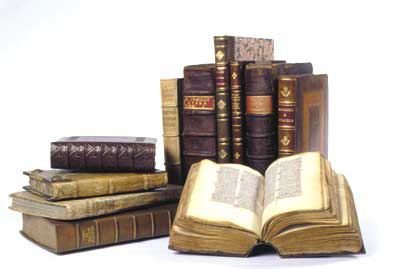 The ebook revolution seems to have hit a snag, at least with book from major publishers. The American Association of Publishers released its annual sales survey this week that showed ebook sales had declined about 11 percent in 2015. Overall, ebooks accounted for 17% of all book sales for the year and Fortune magazine thinks the drop may be in part to major publishers reining in e-sales with higher prices as a way to limit Amazon’s influence over the publishing industry. Digital formats are not all riding the down arrow though: The AAP survey also showed that revenue from audiobook sales has nearly doubled since the year 2012, from $299 million in sales up to $552 million last year. Facebook, Apple and Google have all taken a keen interest in India as a new source of revenue. While Facebook’s Internet.org project to bring its version of the web to the country hit a roadblock with local officials and net neutrality advocates earlier this year, and Google has busted out with a new program designed to train two million local developers in the art of Android. The new initiative is called the Android Skilling program that it plans to implement in universities and training schools around India later this year. Also in international tech news, the Obama administration says the Twitter traffic of Islamic State has dropped 45 percent in the past two years due to an online counteroffensive. Electric cars are picking up speed. 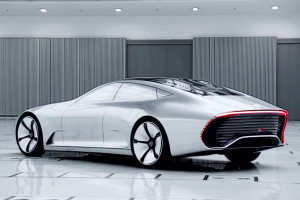 <rimshot> Along with your Tesla Model S, Toyota Prius, Chevy Volt and other models out there, Mercedes-Benz is said to be prepping a concept version of an all-electric sedan that it plans to unveil at the Paris Motor Show in Paris this fall. peaking of Tesla, though, The Wall Street Journal is reporting that Elon Musk’s electric car company is under investigation by the Securities and Exchange Commission for failing to tell investors about the fatal crash of one of its cars in Autopilot mode this May. Google is making high-speed data access easier for its Project Fi customers who are traveling. The company announced on its Android blog this week that it was giving Project Fi subscribers a $10-per-gigabyte data plan in more than 135 countries for those who don’t want to drift between Wi-Fi hotspots in hotels and cafes or fumble with the international SIM card maneuver. After initial delays, Oculus Rift VR headsets are now shipping within 2-to-4 business days from ordering. And developers who want to attend the company’s Oculus Connect 3 conference on early October can fill out applications for attendance starting August 2. And finally, if you like NASA and you like programming, head on over to GitHub — if you’re not already there — and check out the source code for the onboard guidance computers used on the Apollo 11 command and lunar modules back in 1969. The pages of source code were digitized a while back for the MIT Museum and was later transcribed and uploaded into text files by a researcher in 2003. So the code itself was already in the public domain if you knew where to look, but a former NASA intern uploaded the entire collection to GitHub last week so even more people could examine the files and read the comments put in by the original NASA programmers. As PCMag.com notes, the code has a lot of humor and even some Shakespeare in the comments. 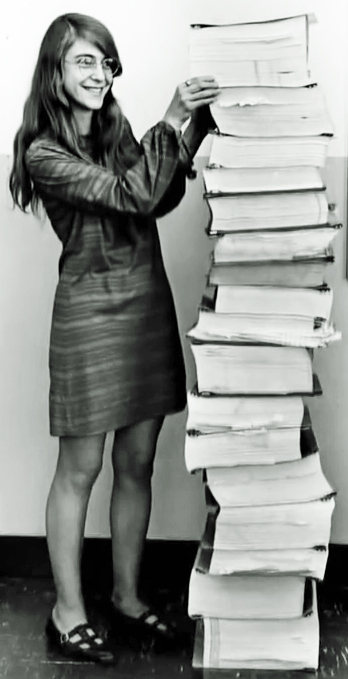 And lest you think all those 1960s-era computer jocks were men in short-sleeve white dress shirts, remember that software engineer Margaret Hamilton (shown here) was one of the main programmers on the Apollo 11 project and is still an inspiration to many of today’s girls who code.